“Gesture” is a term that gets tossed about regularly in modern interaction design. But to me, the word is most deeply associated with classical music – and the gestures that first brought me to music, the piano. In this video for TED@BCG, I got to talk about that and why I think it can inform design through today’s newest interfaces. In rapid-fire form, obviously more could be said about this. I am now deep into another TED project – TEDxESA at the European Space Agency – but while having a quick coffee, it seemed long overdue to share the last TED project, in front of the audience of TED’s TED@BCG (an official TED-curated event organized with Boston Consulting Group). I’ll be honest: I was a bit slow to share this partly because I would have loved to have had more time to prepare that talk and performance. 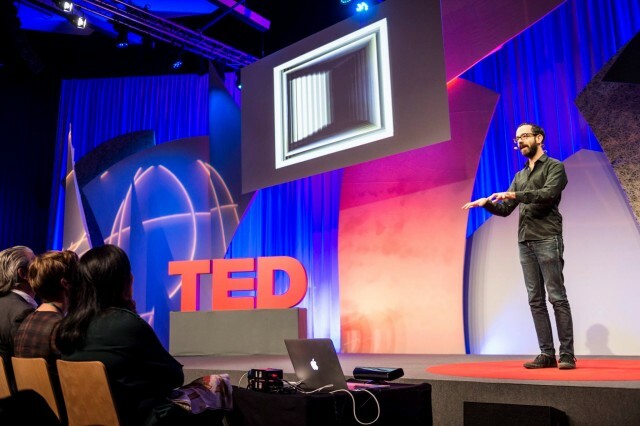 Performing onstage at a conference is a unique challenge, on another order of magnitude when adding computer vision. Anyway, thought I might share it (having put off doing so) to see what reactions were. And I will say, it was a pleasure to work with the TED organization and see how they operate behind the scenes. It felt like having a personal trainer for talks, even in just a brief time. And now I look forward to an entirely different setting, with the folks at ESA. Stay tuned – suffice to say, in the midst of posting this, we’re exploring the world of space exploration and research through the medium of sound. And I think there will be a lot more to say very soon. So back to that – and greetings from south Holland.